Hashtags may seem like a silly bit of social media (and sometimes that’s exactly what they are), but they do serve an important purpose. They help people see what’s going on and what some of the big topics of discussion are. They can also be useful in finding out who's interested in a certain topic or event. 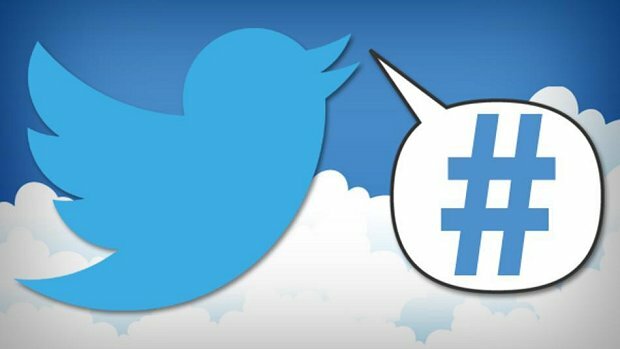 If you’re lucky enough to get your hashtag trending, it can quickly snowball until even those who have never heard of whatever the hashtag pertains to are sucked into the conversation. While hashtags are typically pretty straightforward, here are five best practices to follow if you want to use them effectively. Sometimes when someone uses a hashtag, they’re just having a bit of fun and not really trying to get something to trend. If a friend posts a picture of the crowd at his or her show using a hashtag like #icantbelieveigettodothiseverynight, chances are he or she isn’t really looking for people to use it – at least we hope. If you actually want your followers (and others) to use your hashtag, it needs to be short. In fact, the shorter the better. Hashtags are used most frequently on Twitter, which, of course, limits tweets to 140 characters. If your tag is very short, people will be able to actually say something sustantial while still joining the conversation. But if your tag takes up a quarter of their available characters, people will either ignore it, not add anything of value, or get frustrated as they try to fit their tweet alongside it, and, ultimately, give up. It’s best to keep things short and sweet. This seems like a no-brainer, but you’d be surprised how many bands and brands forget that even some of their biggest fans may not be plugged into everything that’s going on. For example, I recently stayed at the Hard Rock Hotel during a big event. They posted a few hashtags they wanted guests to use. Some, like #HardRock or #HardRockChicago, made perfect sense. Another hashtag was #SoundofYourStay, which alluded to a program Hard Rock Hotels have around the world in which guests can order equipment to their rooms, such as a mixing board or a guitar. If I were staying at the hotel and already had no idea this existed, does anyone really think a random connection of mine on Twitter will be familiar with it? In today’s world, chances are followers will not take the time to research what the tag means, and, while it’s certainly a cool program, a long hashtag isn’t the best way to promote it. The capital letters make the hashtag much easier to understand in an instant, increasing the chances people will use it. I’ve seen this happen at events, mostly where ambitious social media teams want to go above and beyond the go-to hashtag for one reason or another. While it’s a laudable idea, more often than not, it doesn’t work out. At music festivals, attendees are automatically going to use #FestivalName or #FestivalName2014, and that’s all there is to it. If you go with it and promote those, you’ll see the maximum amount of engagement possible. Don’t try to make your main hashtag something like #LiveMusicIsTheBestMusic or #CoachellaRules. People either won’t know about it or remember, and engagement will be fragmented. Whatever you’re doing, whether it's an event, a release, or anything in between, limit yourself to only one or two hashtags. Even if many more are relevant, don’t give your fans or attendees several options, as they’ll all pick different ones. It'll break up the conversation for everyone involved. If your band is embarking on a summer tour called the “Here We Go Tour," encourage everyone to use #HereWeGoTour by posting it often. Don’t sometimes use that one, but then switch it out for others, such as #HereWeGoAroundTheWorld, #HereWeGoAgain, #CantWaitForHereWeGoAgain, #HereWeGoSummer or #HereWeGoTour2014. Some people will go ahead and do this on their own, but that doesn’t mean you should encourage it. As far as social media goes, hashtags are pretty easy to use, and most people understand them – so don’t overthink it. Following these simple tips will help you make the most of your social media presence. What are some of the most ingenious hashtags you've ever written or seen? Any go-to tactics you swear by? Let us know in the comments! Hugh McIntyre is a freelance pop music journalist in NYC by way of Boston. He has written for Billboard, The Hollywood Reporter, and MTV, as well as various magazines and blogs around the world. He is also the founder and editor-in-chief of the blog "Pop! Bang! Boom!" which is dedicated to the genre of pop in all of its glory.